You are reading page 6 of FREE TUITION - FREE BSN - University of Arizona. If you want to start from the beginning Go to First Page. I still can't believe that I missed you, dmskoka! What a crazy weekend. I guess you technically saw me, though. 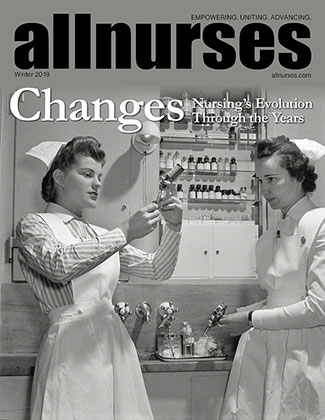 I realize that the lessened need for new RNs is only temporary; and when this recession alleviates, I am guessing there will once again be a very pressing need for new RNs as older ones become able to retire. I hope the program will be able to accomodate 96 students sooner rather than later. The interview reminded me a little bit of childbirth-- you remember every painful detail for 72 hours and then it all starts to fade into some form of dissociative amnesia. After an interview, though, there's a minimal two week wait before you learn the outcome of that trial. With childbirth, at least there's instant gratification. I called the CON to inquire about decisions on the ABSN interviews. The review committee will not meet with the Dean until next week, and then it's an additional day to send out the letters of acceptance/see you next year. So don't expect to see anything in your email/mailbox until Monday or Tuesday of next...at the earliest. So go about your business, get through the week, enjoy the weekend, and hold your breath starting next Monday. ajwildcat works as a Teacher. searching for answers on forums that can't yet be found. complain. a lot. (at least i do). first to hear, post up! with bad weather to boot! Haha! Thanks for the warm welcome! A long weekend indeed. I seriously can't wait any longer. I am going crazy! I feel like my interview did not go "great". The two other people in my group were "so qualified". One had her phD, the other her Masters...hmmm I have a BA in Elementary Education HAHA. Oh well! Although I am kicking myself for turning down my other opportunities.